To understand how LeadPress differentiates itself from other traditional loan officer website providers, we must examine the issues that are exhibited by the vast majority of loan officer web sites today. These issues greatly affect mortgage lead generation and your ability to generate mortgage leads. In its heyday, the introduction of the Full 1003 Mortgage Application promised to increase efficiency in the mortgage origination cycle. Prospects could simply apply online, freeing up loan officers from having to take applications in person or over the phone, giving them more time to focus on selling and other aspects of mortgage loan officer marketing. The reality is that now, more than ever, the Full 1003 is simply too long and time intensive for most mortgage loan prospects. In short, the Full 1003 is simply not practical or user friendly. More importantly, most top originators know that taking their applications over the phone or in person not only helps establish and build a personal relationship, but greatly increases client retention and conversion. Most loan officer web site design companies today not only implement a Full 1003 Application on the websites they offer to mortgage professionals, but they tout it as a benefit. The truth is that placing a Full 1003 on your website is a guaranteed way to seriously impede mortgage lead generation on your loan officer website. The fact that most loan officer website and mortgage website template providers use Full 1003 applications is a testament to how unaware the industry are as a whole of what works in mortgage lead generation and what does not. In this regard, LeadPress was born out of necessity when we experienced first hand, as loan officers ourselves, that each time we tried a new mortgage company website, the results were the same. Visitors and search engines hate flash intros, need we say more? Flash intros break a basic rule of web presentation by not allowing the visitor to control sound / audio and video. More importantly, Flash intros provide an obstacle for visitors that are trying to get specific information or a rate quote from your mortgage web site. While search engines are getting better at spidering flash, it is important to note that you will never see a site with a Flash Intro rank well for any competitive term. Enough said. Anytime a website implements music, sounds or videos that are not user initiated, lead conversion is hurt. Simply put, visitors do not like having music, video or a “virtual tour guide” sprung on them when they visit your loan officer website. They will more than likely find it annoying and distracting, not the impression you want to leave with mortgage loan prospects you are trying to convert into an exclusive mortgage lead. While music and video are completely acceptable when they are user initiated, no good comes from forcing them on your visitors. MORTGAGE MARKETING TIP – If your website exhibits any of the flaws mentioned above, you are losing exclusive mortgage leads that you would otherwise be converting right now. 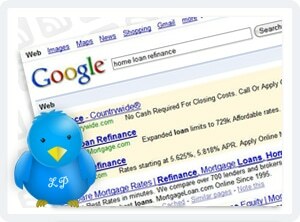 Don’t let your loan officer web site sabotage your mortgage lead generation efforts!